In a recent Japanese meta-analysis published in the Journal of Clinical Endocrinology & Metabolism, researchers found that people with diabetes were 2.15 times as likely as those without the disease to have hearing loss. Surprisingly, when broken down by age, the younger group was at greater risk. The results showed that those 60 and younger with diabetes were 2.61 times more likely to have hearing loss, while the risk for those older than 60 was 1.58 times higher. The meta-analysis looked at 13 previous studies—published between 1977 and 2011—that examined the link between diabetes and hearing loss. Likewise, research also suggests that by keeping diabetes under control, people can help minimize potential diabetes-related hearing damage. Researchers at Henry Ford Hospital in Detroit found that women between the ages of 60 and 75 with well-controlled diabetes had better hearing than women whose diabetes was poorly controlled. “A certain degree of hearing loss is common with aging, but it is often accelerated in patients with diabetes, especially if blood-glucose levels are not being controlled,” said senior study author Kathleen L. Yaremchuk, MD, chair of the Department of Otolaryngology-Head and Neck Surgery at Henry Ford Hospital in Detroit. Unlike eye exams, hearing health examinations are often overlooked in the routine regimen of care for people with diabetes, despite the fact that the vast majority of people with hearing loss can benefit from hearing aids. In fact, almost all of the 400 people who underwent hearing tests at the American Diabetes Association’s EXPO in Portland, Oregon last year said they had never received a physician’s recommendation for a hearing test. Yet more than half of these 400 individuals were found to have hearing loss. And nearly all of them said they did not know that hearing loss is associated with diabetes. 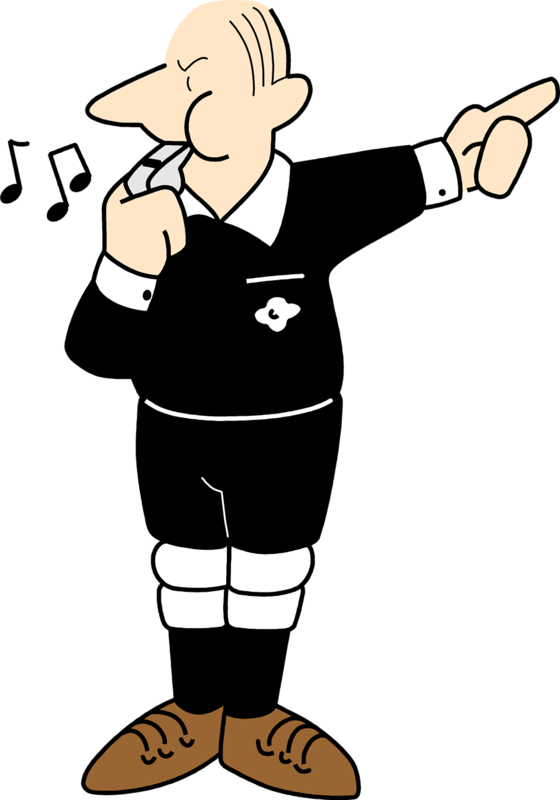 As a basketball referee in his spare time, Nathan Williams thought the whistles were unnecessarily loud. At one all-day high school tournament, he wore a dosimeter that measured his noise exposure. The tournament “maxed out the device,” Williams said. In conversation, his fellow officials joked about their hearing loss, sometimes known as referee’s ear. Williams, then a graduate student in audiology, did not see the humor. A study recently done by Williams and his professor Gregory Flamme shows that referees were much more likely to report symptoms of ringing in the ears and trouble hearing than people of the same age in the general population. The study, “Sports Officials’ Hearing Status: Whistle Use as a Factor Contributing to Hearing Trouble,” was published in January in The Journal of Occupational and Environmental Hygiene. Nearly half of the 321 sports officials surveyed, all of whom were registered with the Michigan High School Athletic Association, reported ringing in the ears, or tinnitus, after officiating. Such ringing often goes away, but with additional noise exposure, it may become permanent. Ringing is also a sign of hearing loss, which typically goes undetected until it causes problems. “Sports officiating cannot be ruled out as a promoter of early hearing impairment,” the study says. The study also looked at self-reported hearing trouble among referees. Older people tend to underestimate their hearing loss, said Flamme, an associate professor in the audiology program at Western Michigan University in Kalamazoo. But reports from younger people are less inaccurate. That is because people compare themselves to peers. At 30, their peers generally have good hearing, but at 70 they do not, Flamme said. Of course, sporting events feature plenty of nonwhistle noise — roaring crowds, blaring music, amplified announcements. Such noise adds to a person’s entire noise-exposure profile, Flamme said. “Ears never get a break,” he said. Noise damage only accumulates. But for a referee, the shrill whistle at ear level could “pass ears past the tipping point,” causing or worsening problems. Athletes and spectators are exposed to whistle noise, too, though their distance from the whistle lessens their exposure. Volleyball probably poses the most risk, said Williams, now an audiologist at Boys Town National Research Hospital in Omaha. People usually consider volume as a cause of hearing problems, but do not realize the effects of duration, he said. With whistle volume measuring from 104 to 116 decibels at the ear, the safe daily noise dose is exceeded in just 5 to 90 seconds. The most commonly used whistle, the Fox 40 Classic, measured 106 decibels, allowing for just 48 seconds before damaging exposure, or 96 whistle blows of half a second each. If you are worried about your hearing and would like to arrange a free hearing test contact Hidden Hearing on 1800 370 000. The day that changed model and actress Jessica-Jane Clement’s life started ordinarily enough. The Real Hustle and I’m A Celebrity star — who has been voted one of the world’s most desirable women — was at home in London with her then boyfriend. Aged just 20 at the time, she was in perfect health. Jess was sitting on the sofa when she suddenly heard a ringing in her right ear. A few hours later when the ringing wore off, she realised her hearing in that ear had gone. ‘It was so quick,’ recalls Jess, now 27, who recently married hairdresser Lee Stafford. ‘When I spoke to my mum on the phone a few hours later, I thought it was broken because I couldn’t hear what she was saying. ‘Then the penny dropped that I could not hear. ‘I didn’t know what to do, so my boyfriend called the hospital and they said, “oh give it six weeks, her hearing should come back by then”. Later that evening she felt giddy and was sick. ‘The next morning I felt like I’d been on a really heavy night out — the whole room felt as if it was spiralling,’ says Jess. This continued for two weeks — but embarrassed by the rebuff from the hospital, Jess didn’t seek medical advice, deciding instead to stay with her mother in Sheffield. ‘I felt so rotten that I went up on the train in my pyjamas with a coat over me,’ says Jess. ‘I looked pale and thin due to the nausea and couldn’t stand upright for long without feeling sick. There, hearing tests revealed Jess had only 10 per cent hearing in her right ear, and her hearing loss was irreversible. Sudden loss of hearing affects tens of thousands each year, —although some experts believe the true figure is much higher. It can be caused by a blow to the head or a disease such as measles, but in the vast majority of cases the reason is never known. A common theory is that the hearing loss itself is caused by a lack of blood flow — this can be temporary or permanent. It may also be due to a viral infection — some people report a ‘flu-like’ illness in the preceding days. ‘Other theories gaining more recent popularity are that it may be an immune-related problem (the body’s immune system attacks the inner ear) or possibly due to a rupture of the membranes that surround the inner ear,’ says Rohit Pratap, a consultant ear, nose and throat surgeon at West Hertfordshire Hospitals and Spire Hospital, Bushey, Hertfordshire. ‘Whatever the cause, it is a generally poorly-known fact that sudden hearing loss is a medical emergency. Steroids, given orally, intravenously or into the ear, can improve the chance of the hearing getting better if given early enough — generally within 72 hours. ‘The problem is the condition can be difficult to diagnose without specialist advice and equipment,’ says Mr Pratap, ‘because there are no “external signs” of disease such as inflammation of the ear, unlike standard ear infections. A low-tech option for GPs is to use a tuning fork placed in the middle of the forehead. The patient is asked in which ear the sound is louder — if hearing is normal, the sound will be heard equally between the two. However, many GPs or non-specialist doctors may not perform this test, or refer a patient on for specialist help. Sudden hearing loss should be taken as seriously as sudden blindness, adds Vivienne Michael, chief executive of Deafness Research UK. However, sometimes it is the patients who don’t act promptly. ‘They may think they have a bit of wax or a cold,’ says Mr Pratap. ‘However, I would advise anyone who has sudden profound hearing loss (for example, not being able to hear conversational level voices on the telephone) which persists for several hours, or if they have associated symptoms of dizziness, tinnitus (ringing in the ears) or pressure in the ears, to see their GP or go to A&E immediately. It wasn’t just her hearing that went — so too did her balance, and dancing still leaves her giddy. Yet over the next year, she learned to cope with her single-sided deafness. ‘I learned to do simple things that make a difference, like choosing my place at a dinner table so I could hear everyone, and slowly I got over the embarrassment of talking about it,’ she says. However, shortly after she was in I’m A Celebrity in 2011, someone suggested she try a new one that fits inside the ear canal, and therefore cannot be seen. While it has made a real difference, she says she’s also benefited from accepting her hearing loss. ‘I’m now happy to speak out about it, because I know it can happen to anyone at any age. It’s not the end of the world. ‘Just because you can’t hear properly doesn’t mean your life is over. A former VIP hostess at the Midtown nightclub Lavo is suing the venue, claiming the loud music made her nearly deaf in one ear, according to a published report. Margaret Clemente told the New York Post that she complained to her bosses about the noise at the nightclub, at 39 E. 58th St., but they made things difficult and she eventually quit. Clemente told the newspaper management did provide earplugs, but they were cheaply made and did not block out the noise. She said her hearing loss made it more and more difficult to communicate at work using a mandated radio earpiece that alerted her about other staff members and A-listers who came to the club, the newspaper reported. A New York Times investigation in July of last year said the thumping music is 96 decibels at Lavo – comparable to standing next to a power meter. Hidden Hearing is delighted to be acknowledged as a Corporate Member of Age Action, with the two organisations working in partnership during 2013. Age Action is a charity which promotes positive ageing and better policies and services for older people. Working with, and on behalf of, older people Age Action aims to make Ireland the best place in the world in which to grow older. As a Corporate Member, Hidden Hearing is sponsoring Age Action’s Tea Party events which are lunch and musical events which this year will feature legendary musicians Dickie Rock and Sonny Knowles.The Tea Party events are held in hotels around the country and are a great opportunity for people to meet old friends and to make some new ones. A lovely traditional Afternoon Tea is served, and everyone will be entertained by some of Irelands legendary singers. Hidden Hearing is delighted to be working with Age Action on this activity as we know how important it is for people to socialise and interact with each other. We look forward to welcoming you to one of our Tea Parties around Ireland. Robbie Wilde thumbs through his iPhone as the sounds of voices and clinking glasses bounce all around him. His eyes never leave the phone’s screen. During New York Fashion Week, Wilde, 27, passes the time with friends and management at an exclusive party in Hell’s Kitchen before taking over the turntables. Wilde lives in a world of rhythm and bass. He just can’t hear it. Ear infections at age 7 left Wilde completely deaf in his right ear and took away 80% of his hearing in his left one. It would be another four years before doctors would confirm what his mother, Maria Sapeta, dreaded: Her son was deaf. “It was heartbreaking as a mother,” she recalled. “It was probably one of the hardest days of my life. But Robbie was the one who gave me a hug and said, ‘Don’t cry. '” Originally from Portugal, Sapeta and her husband, Emidio, then a cruise ship chef, had moved to the United States when Wilde was 5. From childhood, he always had a “persistent personality,” Sapeta said, laughing. Unlike many other kids his age, he always finished what he started — from puzzles to cabins made from Lincoln Logs. Wilde relies on technology to see the music and differentiate between vocals, bass and kicks. After losing his hearing, his grades slipped because he had difficulty understanding his teachers. Bullied in school, Wilde usually kept his deafness a secret. When his parents suggested he attend a specialty school, he insisted on staying in public school. He worked with a speech therapist and began reading lips. “I grew up in a way that I don’t want any sympathy. I don’t want to be treated differently,” he said. “I just tried to maneuver around, reading lips and trying to hear my own way. ” When her son announced he wanted to be a professional DJ instead of joining the family restaurant business, Sapeta was cautiously supportive. “We could see his talent and his passion, but I kept worrying about that left ear,” she said. “Anything to stop his dreams, he didn’t want it. “Hearing is the most important sense for a DJ, who manipulates music, scratches records and uses mixers. But Wilde was determined to succeed without his. 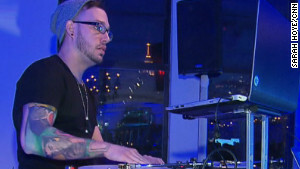 So he paired up with two-time DMC world champion DJ and Harvard math grad Sam Zornow, aka DJ Shiftee, who was teaching at Dubspot, a DJ school and production studio in New York. Mastering turntables is a skill that takes hours of practice to learn and can be a lifelong pursuit, Zornow said. “It takes two years just to get bad,” he said. “And I mean ‘bad’ meaning bad. “Still, Zornow was up to the challenge of working with Wilde. At first he didn’t know what to expect, but he said Wilde’s success has surprised him. “On paper it should be impossible. You’re dealing with manipulating sound. Then combine that with a discipline that’s hard in general, it’s a really impressive task he’s taken on,” Zornow said. “From the beginning he believed in himself and continues to believe in himself. “Computer giant Hewlett-Packard noticed Wilde’s skills and put him in a commercial this fall for its new touch-enabled PC, thrusting him onto the world stage. “It’s a true story of inspiration,” said HP marketing executive Danielle Jones. “His is a profound story of someone being able to do the things that matter to them and the things that they love through technology. “Unable to hear lyrics or complete compositions, Wilde relies on technology to see the music by using his laptop and DJ software that helps him differentiate between vocals, bass and kicks. I grew up in a way that I don’t want any sympathy. He also feels the vibration whether physically from a club’s speakers or through a SubPac, which resembles a seat cushion and allows him to feel the music by directly transferring low frequencies to the body. Anybody who might be concerned about their hearing, can avail of a free hearing test at any Hidden Hearing branch nationwide. You can book a hearing test free of charge at any of Hidden Hearing’s 60 clinics nationwide. Freephone 1800 370 000 or visit www.hiddenhearing.ie.